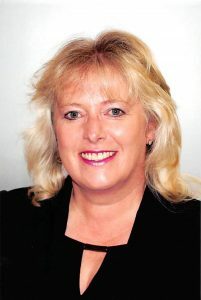 Kath joined the Vision Team as an Independent Financial Adviser after a career with HSBC stretching back 27 years; the last 14 years were spent helping client personally to manage their finances, both as an Independent Adviser and more recently, a Restricted Adviser. The ability to offer truly Independent Financial Advice is extremely important to Kath, to enable sourcing of the very best solutions, helping provide personal and tailored recommendations to every client. Kath is passionate about long term relationships built on trust and professionalism. Kath meets clients face to face and takes time to fully understand their financial situation and priorities and will regularly meet to review these to make sure plans stay on track. In recent years, Kath has delivered solutions in the areas of investment, retirement, estate and tax planning, however Kath is comfortable to discuss all areas of financial advice. Kath is delighted to now be able to offer these services to clients on a truly ‘best in market’ basis and feels that the Vision brand will enhance this with their comprehensive range of services aligned to a bespoke approach. Kath welcomes the opportunity to meet with clients old and new to review their circumstances and establish how to help.